The Honda Civic Sedan is reliable, energetic, and remarkably fuel-efficient — but that’s not all. Its interior is chock-full of comfort and utility features, sure to make every drive more enjoyable. Compared to the Toyota Corolla, the Honda Civic dimensions are greater, creating a spacious cabin for Kamuela drivers and their passengers. Take a look below to see what else you can expect from the Honda Civic Sedan’s interior! Automatic Climate Control System: During those hot days in Waoimea, the automatic climate control system maintains your temperature settings for a cozy drive. Adaptive Cruise Control (ACC): A part of Honda Sensing, ACC with Low-Speed Follow uses automatic braking to maintain a preset distance interval, as well as cruise speed. Optional Power Driver’s Seat: Standard on the EX, EX-L, and Touring, the power driver’s seat features an 8-way power adjustment, giving you a range of seating positions to choose from. Optional Power Moonroof: The power moonroof opens at the touch of a button, letting in sunlight or starlight and a gentle breeze. This feature comes standard on the EX, EX-L, and Touring. Illuminated Steering Wheel Controls: During nighttime drives, the illuminated steering wheel controls let you seamlessly adjust audio and cruise control settings. Electronic Remote Trunk Release: Stormy weather is easily outsmarted with remote trunk access, which lets you press a button, load the trunk, and hop in your car. Headlights-On Reminder: With this feature, the Civic warns you when you’ve accidentally left your headlights on, helping you avoid a dead battery. Optional Auto-Dimming Rearview Mirror: In the evening, the auto-dimming rearview mirror darkens to reduce glare from other drivers’ headlights. Step Inside the New Honda Civic! To explore the Honda Civic Sedan’s interior for yourself, contact us at Big Island Honda and schedule a test drive. 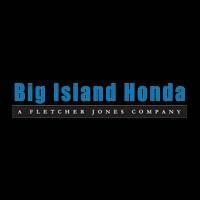 We maintain two locations on either side of the Big Island — one in Hilo and the other in Kailua-Kona. Our sales and finance team is standing by to help you find the right Honda Civic, or other Honda sedan, and apply for financing! Additionally, in order to keep your Civic in great condition, learn more about the Honda Civic maintenance schedule!